Many privacy-conscious users prefer to stop apps and devices from reporting diagnostics to their parent companies. 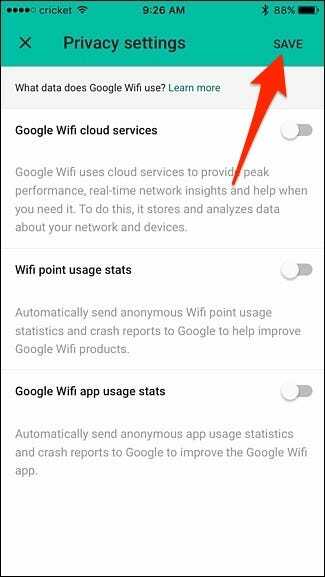 We generally think these are useful features, but if you’d prefer to turn them off, here’s how to disable them on the Google WiFi system. 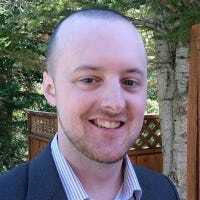 RELATED: Should I Let Apps Send “Usage Statistics” and “Error Reports”? 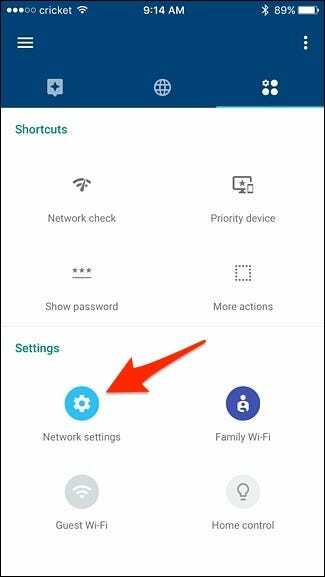 Most devices have something like this, and it lets the company know how you’re using the device and what you use it for, which in turn is supposed to help the company improve upon the software. 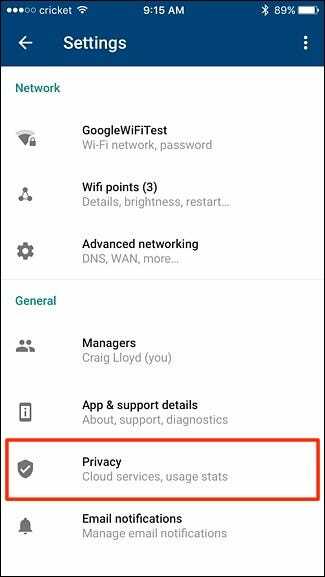 Google says that Google WiFi doesn’t track the websites you visit or collect any information sent over your Wi-Fi traffic, but rather “data such as Wi-Fi channel, signal strength, and device types that are relevant to optimize your Wi-Fi performance.” But if you’d rather not give them any information, it’s easy to disable. 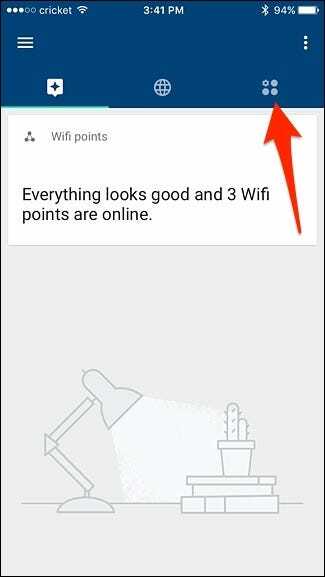 To do so, start by opening up the Google WiFi app on your phone and tap on the tab with the settings gear icon and three other circles. Tap on “Privacy” at the bottom. There will be three different sections that you can disable, each one explaining what it does. Tap on the toggle switches off to the right to disable them. 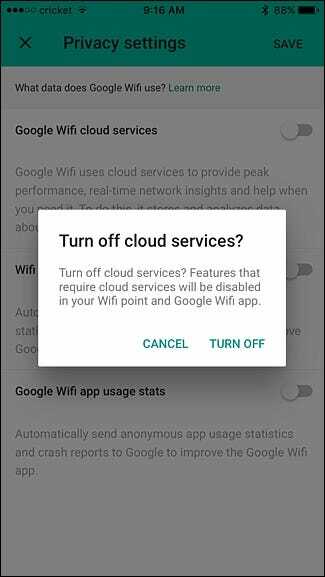 Keep in mind that turning off “Google WiFi Cloud Services” will disable some features, including the ability to see how much bandwidth and data your network has used up over time. Once you’ve disabled the privacy settings, hit “Save” in the top-right corner. 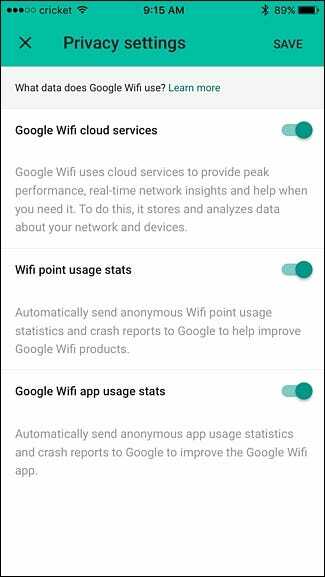 Overall you don’t really have a whole lot to worry about as far as Google collecting personal information from your Google WiFi system, especially when Google is likely tracking a lot more severe things, but it never hurts to disable the privacy settings anyway just to be safe.